Consumer-generated content is everywhere. Consumers post everything from comprehensive reviews to pictures of the products they’ve bought or plan to buy. Consumer-generated content is everywhere. Consumers post everything from comprehensive reviews to pictures of the products they’ve bought or plan to buy. This activity is a major driver of sales and product engagement in the e-commerce space. A report from BazaarVoice examines the impact of this sort of content. Simply interacting with CGC is enough to increase revenue and convert users; brands don’t have to it themselves. Revenue increased 106 percent on retail sites when users see CGC prior to purchase, and by 75 percent on brand websites. Average order value also increases by 10 percent and 8 percent, respectively, and conversion increases by 97 percent and 78 percent, respectively. Sites should consider offering users more than a simple 500-character text box for reviews, and maybe a possible star rating. The more expressive users can be, the more enriching the experience will be for consumers on their purchase journey. CGC can be everything from a critical rating to a comprehensive review, a picture, a video or a brief comment; it can be a rich, experiential story, or an uncontrollable emotional outburst. Far more often than not, the time and effort to create and share this content is driven by the will of people to help, inform, protect, entertain or inspire confidence in other consumers. The use of visual content has already increased among consumers and marketers, on product websites and on social media. BazaarVoice’s Curations tool processed 4.7 times more photos in 2015 than 2014, and 4.5 times more video. Many brands and retailers have started to integrate CGC into more aspects of their marketing campaigns. 57 percent of retailers and 61 percent of brands are using CGC in their social media efforts, and now 27 percent and 2 percent, respectively, are using it in their print campaigns. 43 percent and 15 percent, respectively, are using it in brick and mortar locations, and 18 percent and 10 percent, respectively are going as far as using it on product packaging. Really listen to the customer. Let customers tell their story. 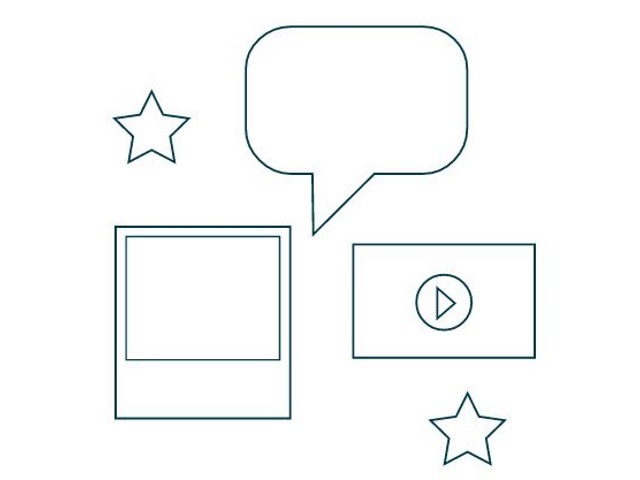 Readers: How are you using consumer generated content on your websites?